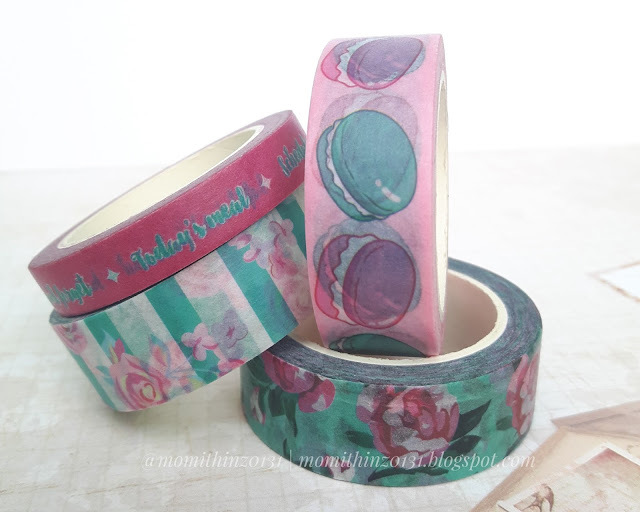 These washi tapes by Papermela are just gorgeous! Fell in love with these the first time she posted it on her instagram account. And these are exclusively made just for Papermela. 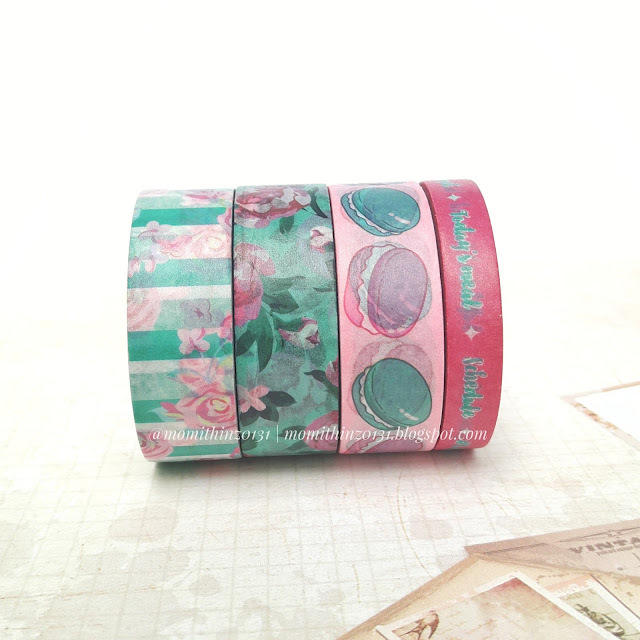 There are 3 rolls in regular size washi and one slim size washi. All of which are in pastel colors. 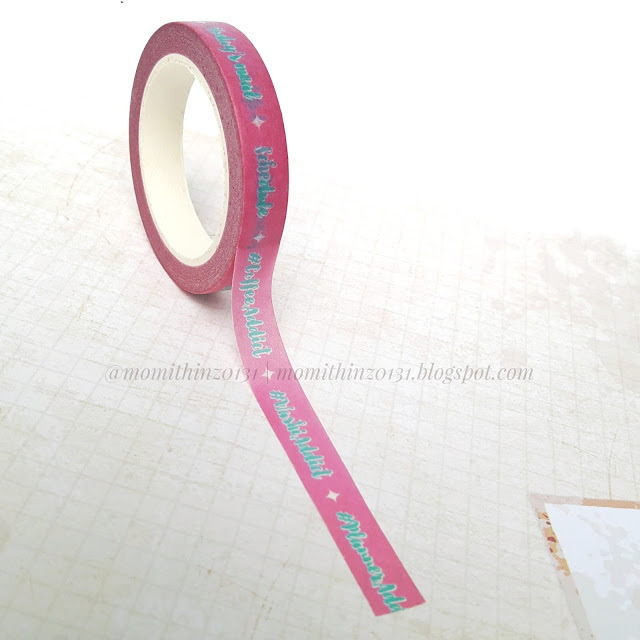 Starting of with this slim washi tape, it's called the Papermela's Planner Tags. Each roll is 8 millimeter in width and 10 meters long. There are different hashtags on it that you can use as labels in your planners, journals, scrapbooks, etc.. And can you guess which one is my favorite? Yes! It's the #CoffeeAddict! Yay! 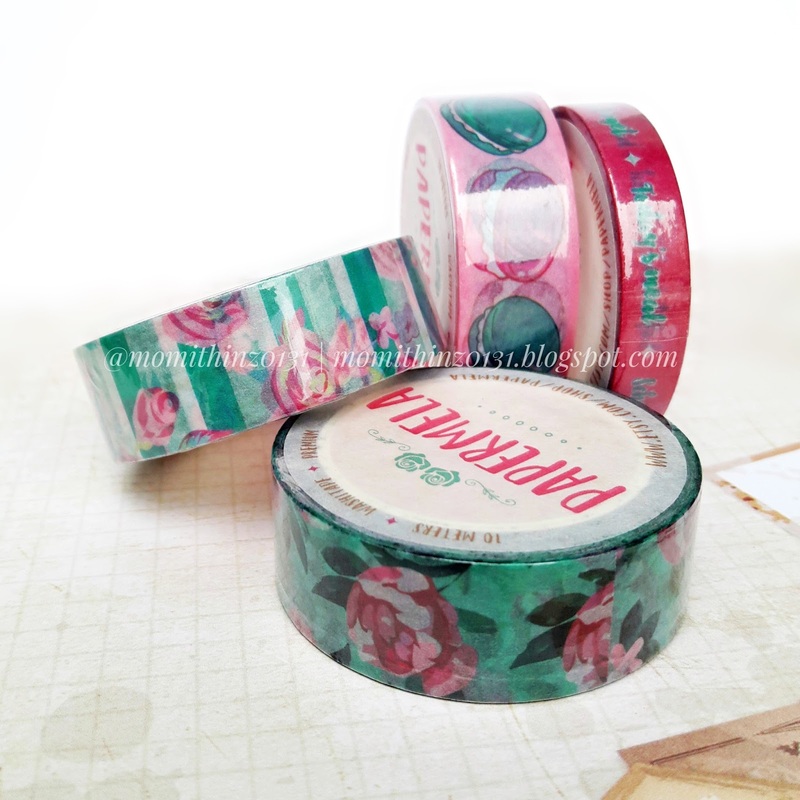 Oh and you can get this tape for only Php 179.00 only. 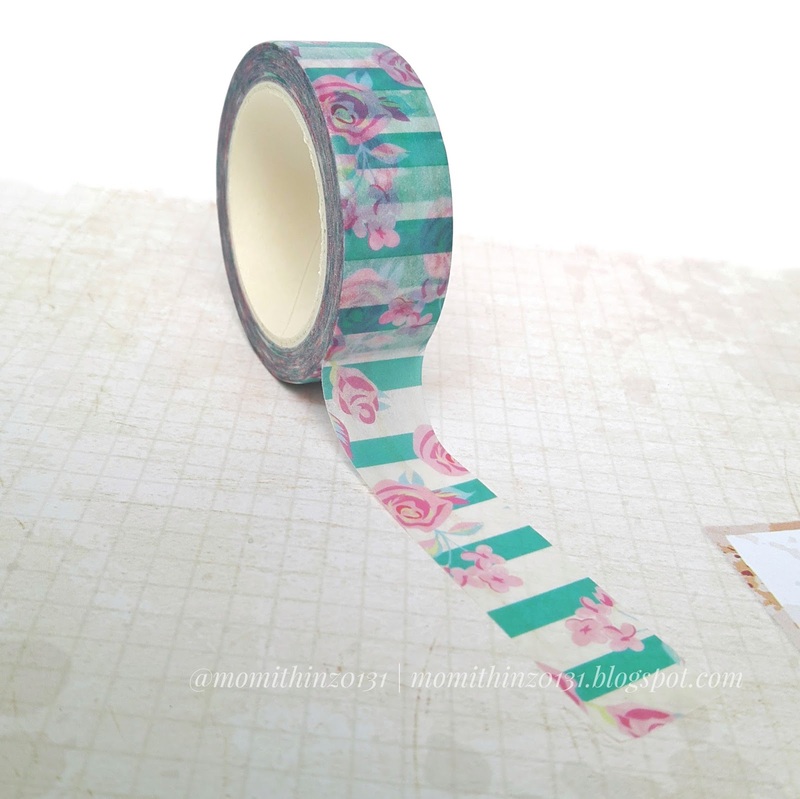 The third one is called the Papermela's Stripes & Florals. 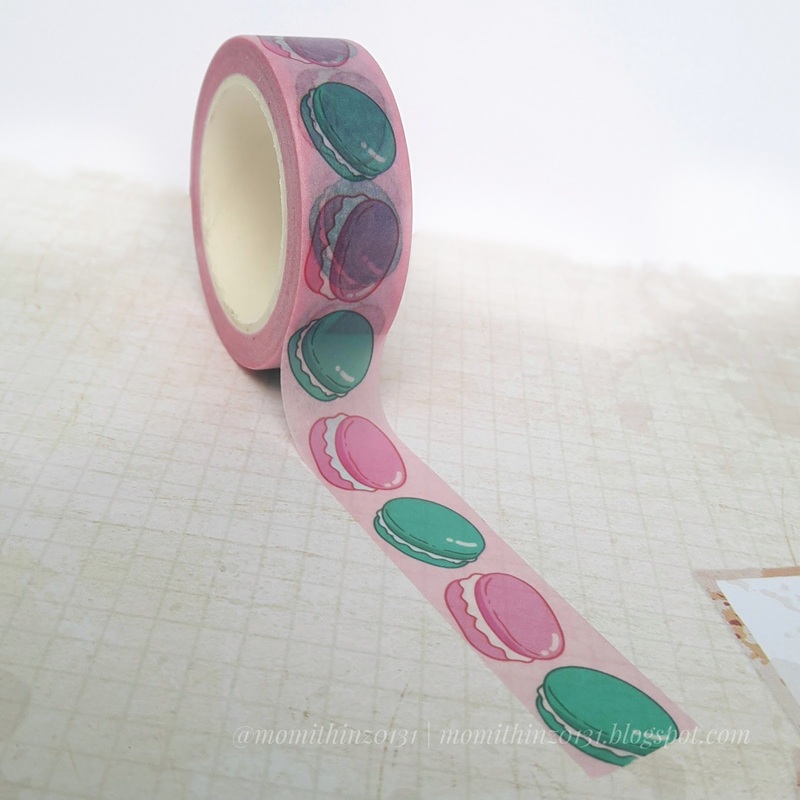 Each roll is also 10 millimeters in width and is 10 meters long. Stripes in background is in alternating colors of pastel green and white. And over it are flowers in pastel pink. 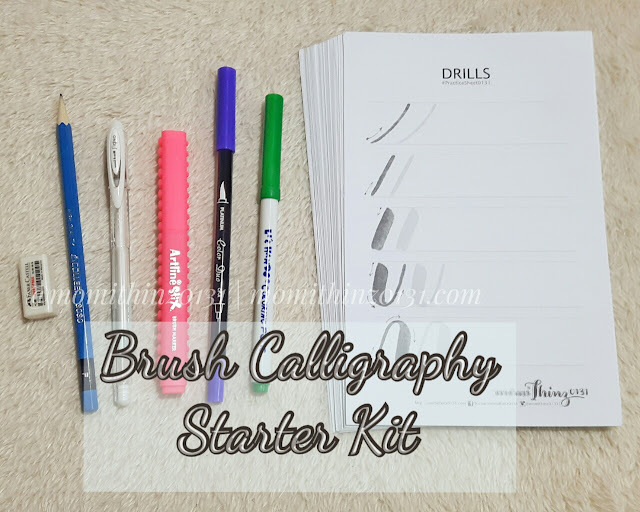 You can also get this for only Php 189.00. Now the last but not the least is the Papermela's Oh, Floral! 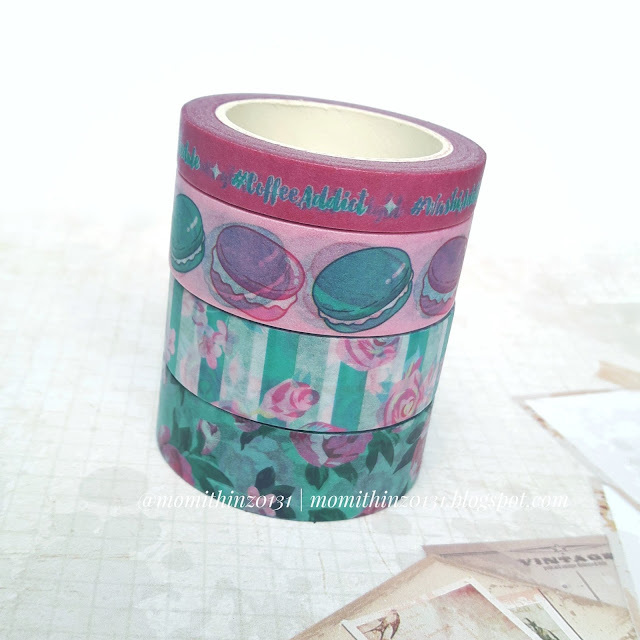 This is the same size as the previous 2 washi tapes. 15 millimeters in width and is also 10 meters long. 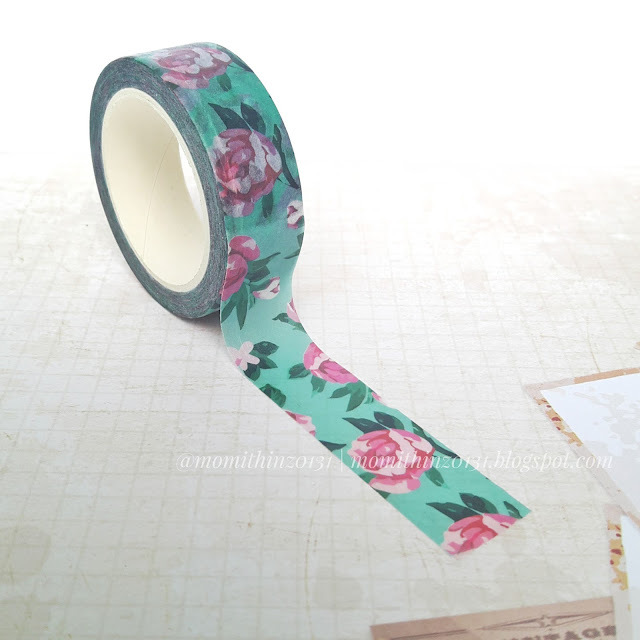 Background color is pastel green, and over it are roses in pastel pink with green leaves in a darker shade of green. Your can get this for only Php 189.00. All these four comes in shrink label. And you can get this Papermela's Collection for only Php 649.00. 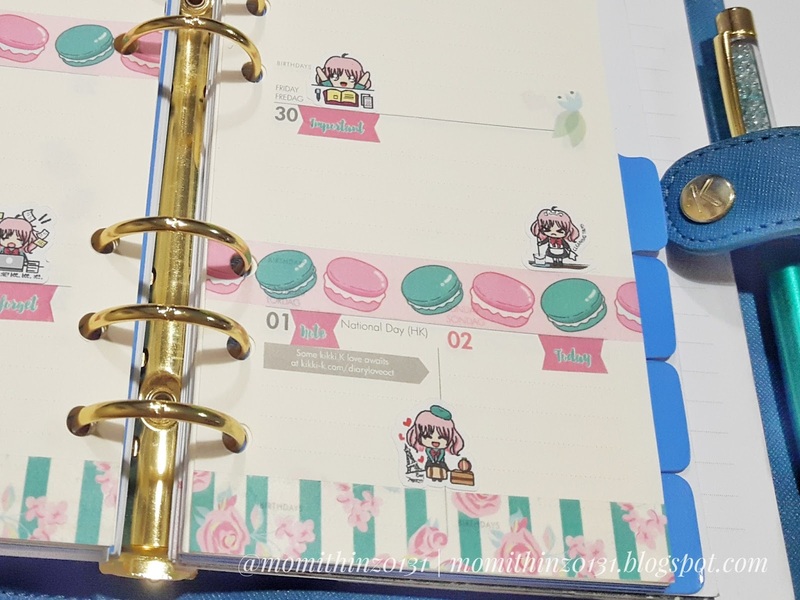 Here in my Personal size Kikki-K Ocean. I used the Papermela's Oh, Floral on top border. 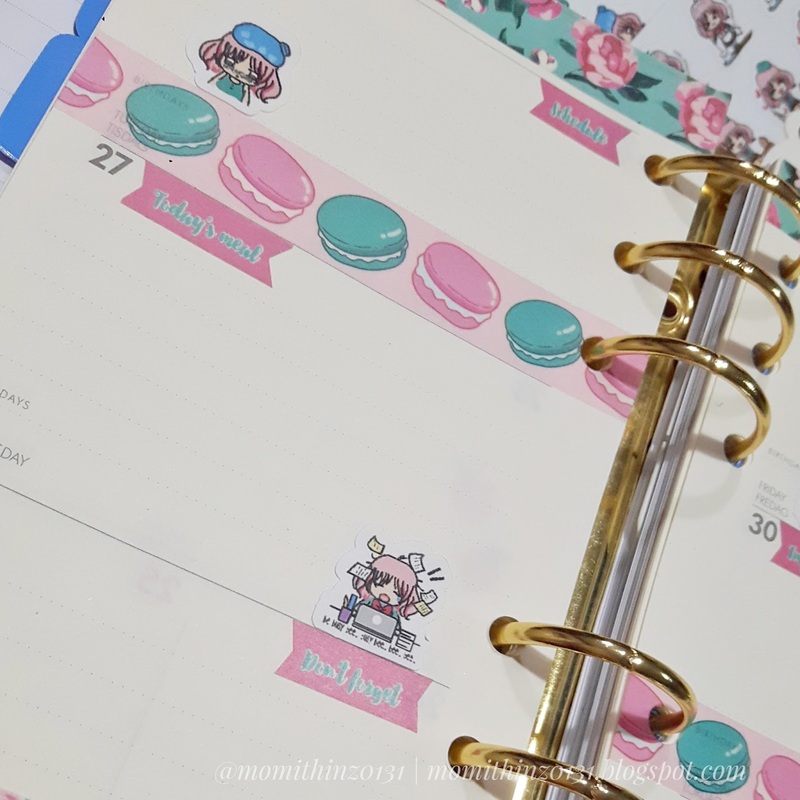 Then I used Papermela's That Macaron after the first day to serve as an accent. 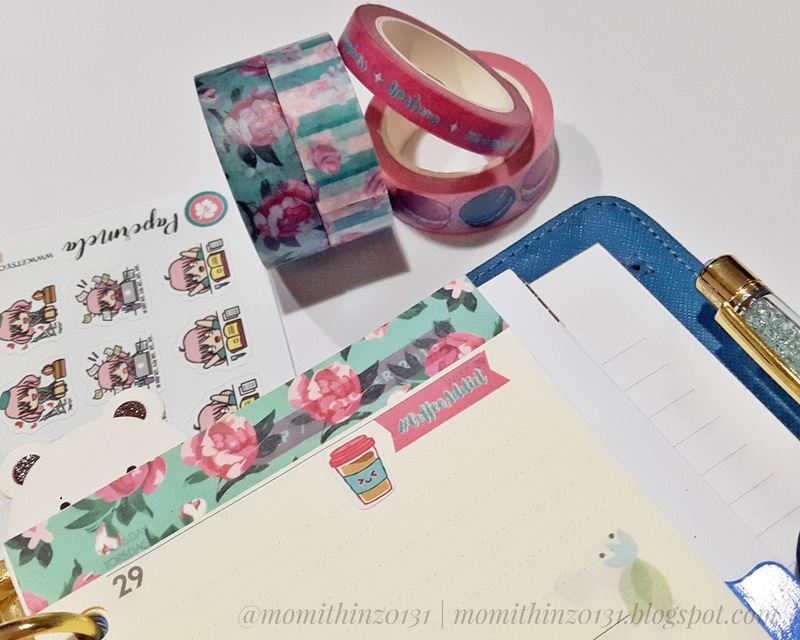 Also used Papermela's Planner Tags. First on top is the Schedule, then Today's meal in the middle and Don't forget at the bottom. Also used some of Papermela's cute Chibi Kawaii stickers that I posted previously. Now who wants these Papermela's Collection Washitapes?! for a minimum of $10 worth from any of her items. Oh My God!This is so yummy,my mouth is literally watering right now,I totally love these cookies.but can't eat them due to some religious boundaries.